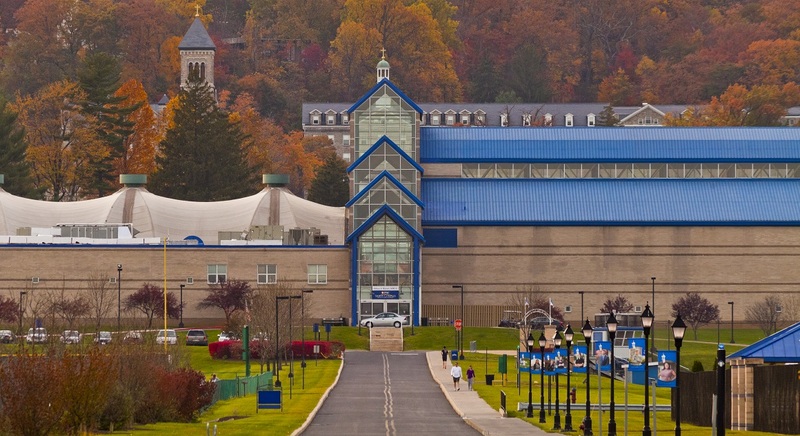 Mount St. Mary’s University has become the first institution of higher learning in Frederick County to receive an arena license to sell beer and wine, after the Maryland General Assembly passed a law in July allowing the Frederick County liquor board to grant this category of license. With the approval, Mount St. Mary’s plans to begin alcohol sales at sporting events in the Athletic and Recreation Convocation Complex (ARCC) and at Waldron Family Stadium. Alcohol sales to the general public at select home contests will begin with the men’s basketball game on December 15. Trained staff will implement strict enforcement of ID checks along with a limit on alcohol purchases. There will be a maximum purchase of three drinks per game per person, and all alcohol sales will conclude at the beginning of the second half. The university will now maintain a no re-entry policy, and will continue to enforce a prohibition on outside alcoholic beverages.